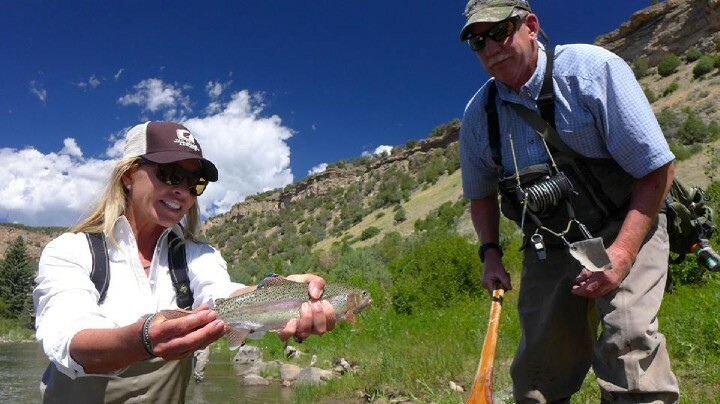 Fly fishermen all over the world enjoy this sport for many reasons. The outdoor experience, the scenic beauty, the adventure, and the mystery are all things that call us to the water. But we all know that the main attraction is usually the fish themselves. 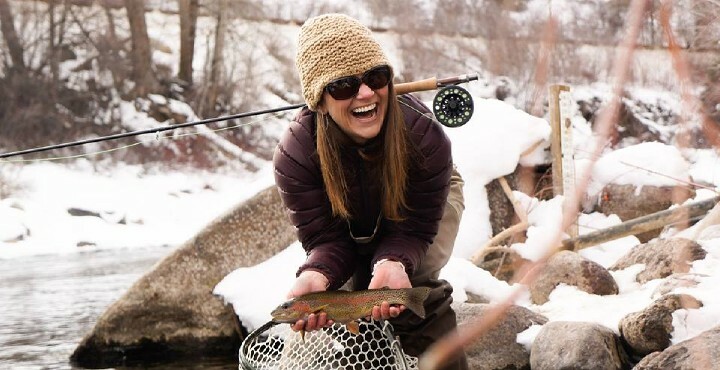 The wild trout that we chase here in Colorado are beautiful and unique, and since we almost always release them, the best way to remember a special one is to take a picture. 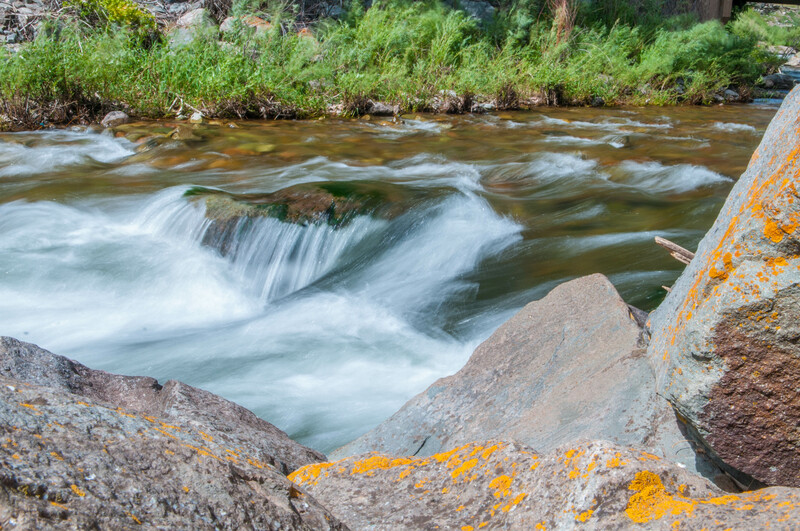 Many anglers and guides don’t know the best practices to use while photographing your catch. While there are hundreds of little tricks and techniques used by professional photographers to capture the breathtaking magazine cover photos you often see–you can improve your “grip and grin” pictures with just a few simple modifications taken from the pros. However, the most important thing to remember is that you want to make the safety of the fish the top priority. Taking a picture of a fish is going to risk the health of the fish, maybe it’s better to just revive it carefully and leave the camera in your pocket. When you catch that twenty plus inch rainbow on 6X tippet during the heat of the summer in warm water, you should probably just keep the fish in the water and release it quickly. Be sure that taking a picture of your catch is not going to harm it, follow these easy tips for better pictures. If you are taking a picture of a fish, then the fish itself should be the main attraction. The way the angler holds the fish can make or break your picture. All too often, I see pictures of hands and fingers with fish behind them. Keep as much of your hands behind the fish as possible. Big fish are not easy to hold, and they rarely cooperate. Through the years, I have found that the harder you grip a trout, the harder it will fight to get free. Remember that you should not be trying to grab a fish, but trying to use your hands as a resting place for it. A fish that looks comfortable and natural in your hands is better than one that looks like it is fighting desperately for its freedom. Gently cradle the fish and they will stay still longer. We all want the fish to look as big as possible, but we have to resist the urge to hold the fish straight out and close to the camera to achieve this effect. It makes the entire photograph appear disproportionate and, in the end, it just looks cheesy. Holding your trophy at a neutral distance away from you looks better no matter the size. Angles and lighting are not always the sole responsibility of the cameraman. Sunlight is everything, and if the angler uses it to his or her advantage, it can brighten the colors and make the picture look great. Improper use of natural light will almost always ruin a fish photo. A shiny rainbow trout can end up looking like a silver streak with too much glare–especially if it is being held at an incorrect angle. Teamwork here is critical. The cameraman should try different angles quickly to find which one places the right amount of light on that monster rainbow or cutthroat. The other major killer of a great trout picture is shadow lines. It can be easy to forget we cast shadows directly under ourselves when it’s bright out, and when holding the fish the angler needs to remember not to allow his or her own shadow to “cut” it in half. I usually turn so I am facing into the sun and focus on keeping the fish level and straight so my shadow doesn’t interfere. These are just some of the things that the person holding the fish can do to make the picture better. Keep an eye out for next installment of this series. I will discuss some of the things the cameraman should do to ensure that the picture is frame worthy. And be sure to see the pictures we’ve taken on our guided tours!